…“Something is definitely different, and it raises questions about how much we really know,” says Max Moritz, a fire scientist at the University of California, Santa Barbara. … The problem, Moritz says, is that most of the fire models in use today are based on data from the past two or three decades. But it seems that fire behaviour might be shifting in response to climate faster than anybody expected, and that makes it increasingly problematic to extrapolate from past trends, he adds. For alfalfa growers seeking other methods of rodent control, Dr. Roger Baldwin, Cooperative Extension specialist at UC Davis, says rodenticides, fumigants and trapping can be moderately to highly effective, depending on method and means used. The American West has entered an era of permanent water scarcity, a marked shift from previous periods of episodic drought. The same can now be said for fire: In California, there hasn't been a month without a wildfire since 2012. Join us for a conversation about the ways in which water and wildfire management intersect, and about the West's adaptation to its new, and far from normal, reality. We'll be joined by experts Crystal Kolden, associate professor of forest, range, and fire sciences in the College of Natural Resources at the University of Idaho, and Van Butsic, cooperative extension specialist at the University of California, Berkeley. Email our community editor with questions for the panelists (lindsay@newsdeeply.com) or tweet us @waterdeeply using the hashtag #DeeplyTalks. 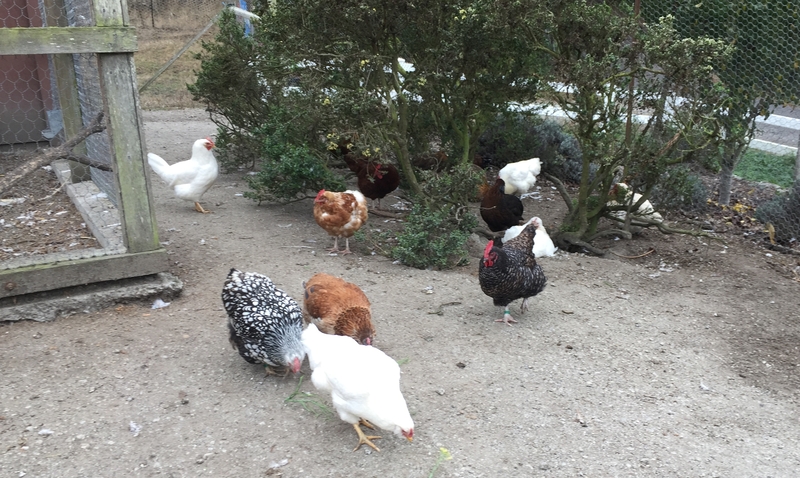 Maurice Pitesky, a veterinarian and University of California extension specialist in the School of Veterinary Medicine at UC Davis, said one of the challenges in keeping a lid on the disease is the continued popularity of raising backyard chickens. “While people have the best intentions, unfortunately a lack of biosecurity practices in people's backyards is one of the contributing factors of the disease spreading,” Pitesky said. At its heart, the UFW remains torn between whether it can be both a grass-roots union and a broad social movement operating in the halls of power, said Philip Martin, a UC Davis agricultural economist and farm labor expert. ...“It is worth noting that the UFW does not have union locals, and so therefore does not have a system under which current farmworkers are trained in leadership development with the idea that they will rise within the union,” he said. "Managing forest and wildfires to benefit water resources is difficult because there are trade-offs between short-term costs and long-term benefits. In the short term, wildfires can lead to increased erosion and sedimentation in streams and reservoirs. This contributes to lost revenue for downstream power generators and at times even requires water to be treated before it is potable." Can Angelenos and Coyotes Coexist? Why homes are lost to wildfire — is yours as safe as it could be? …“When you start to understand why homes burn, often through embers igniting fuel in home attics or adjacent to homes, then it is easier to understand these patterns,” said Kate Wilkin, a fire specialist for UC Cooperative Extension. Take a look in your refrigerator or pantry and you most likely find something with a NON GMO label on it. 13 On Your Side reporter, Caitlin Slater received an award at the annual Yuma County Farm Bureau meeting. The keynote speaker at the event was genomics and biotechnology researcher at UC Davis, Dr. Allison Van Eenennaam. She presented on how GMOs are actually better for us and our environment. 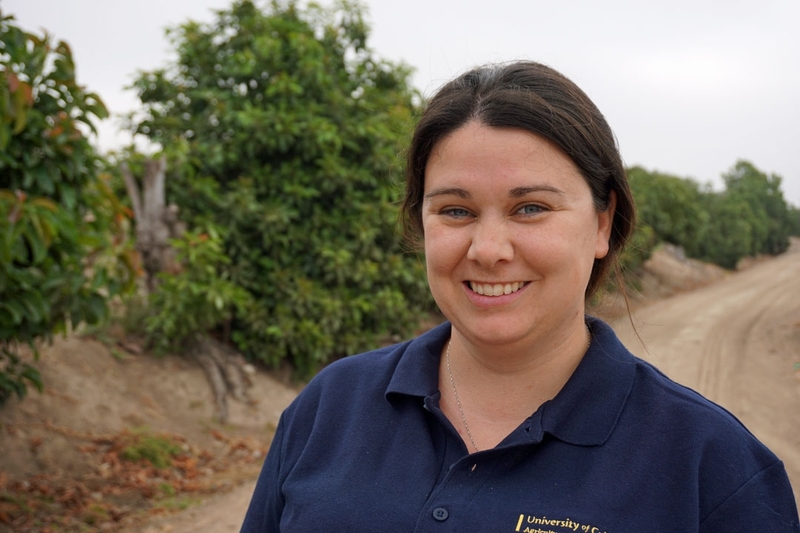 The posting of this video is a little belated as almond harvest has already begun, but if you've had hull rot issues this season, be sure to watch this brief video interview with Nut Crops Advisor Mae Culumber as she provides some tips to prevent hull rot and trunk damage through better irrigation practices, as explained at a mid-July Nut & Vine Irrigation seminar at the UC Cooperative Extension office in Fresno. Read more about it in Pacific Nut Producer Magazine. Culumber will also be addressing almond growers at the Annual Grape, Nut & Tree Fruit Expo coming up on November 13th at the Big Fresno Fairgrounds, so be sure to attend! 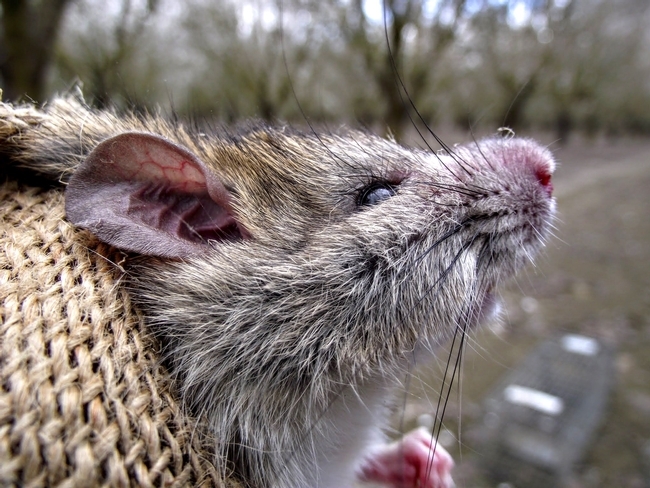 Pocket gophers can be very detrimental for growers, especially those with young orchards. So how do you minimize populations of these pesky critters? Watch this brief interview with Julie Finzel from the UC Cooperative Extension as she offers growers three quick tips for effective management. Julie will also be addressing growers on wildlife issues at the upcoming Grape, Nut & Tree Fruit Expo at the BIG Fresno Fairgrounds on November 13th, so be sure to attend. Learn more about it on AgExpo.biz. This article is a summary of a seminar conducted by Susanne von Rosenberg, UC Master Gardener of Napa County, on gardening in an age of climate change. William Stewart, an expert on forestry at the University of California at Berkeley, said that part of the California dream was keeping “nature as it is,” with minimal management of forests. …Dr. Alison Van Eenennaam, a cooperative extension specialist at the University of California, Davis, and a collaborator on the Recombinetics project, says that gene editing in the case of polled cattle is used to address an animal welfare concern. Typically, horns must be burned off to better protect the safety of farmers and other animals. Hemp, Cannabis sativa L., is a dioecious annual plant that has not been grown legally in California for many years, due to regulatory restrictions. "They're basically taking what Google and the internet are doing with information and applying it to ag," said Beth Grafton-Cardwell, a research entomologist at UC Riverside. "And that hasn't really been done." …"But that's so politically contentious — it's a line politicians walk up to but turn away from," said William Stewart, a UC Berkeley forestry and wildfire specialist. … “People seem to have short memories," said Sabrina Drill, a natural resources advisor for the UC Cooperative Extension, a statewide off-campus division of the university system that focuses on agriculture and natural resources. "I think people might think twice about building a home where there had just been a fire, but people seem to forget after about three years." … Van Butsic, a UC Berkeley researcher who studies forestry and land use, has closely studied this. In a paper now under review for publication, he and scientist Anu Kramer, from the University of Wisconsin, describe an alarming trend of building homes in known fire-risk areas. "We studied 30 of the largest fires since 1970," he said. On average, they found that 20 years after an inhabited area burns, not only were most of the destroyed homes rebuilt but many new homes were added — about twice as many homes in total as there were at the time of the burn. … In 2016, researcher Susan Kocher spent nine months on sabbatical in Provence, the arid region of southern France that resembles much of inland California. Here, Kocher — the Central Sierra Natural Resources Advisor for the UC Cooperative Extension — compared building patterns in high-fire risk parts of California and France. "In California we often say, 'We should be able to tell people they can't build here,'" said Kocher, whose research, coauthored with Butsic, was published in March of 2017 in the journal Land. "In France, they just tell people they can't build somewhere." 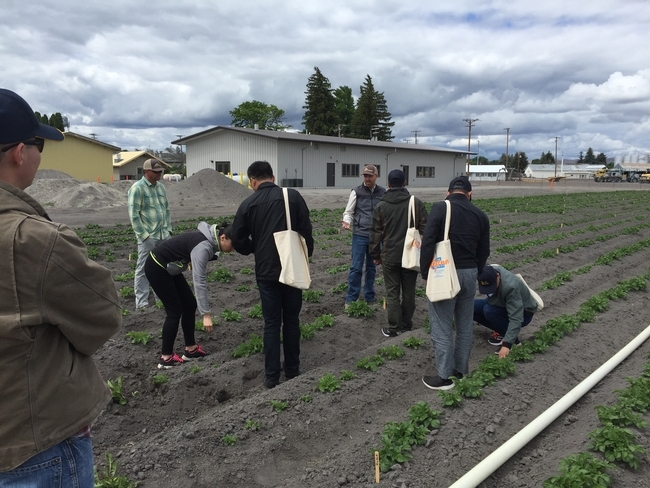 In its century of existence, the Cooperative Extension System has been a valuable resource distributing university-driven, science-based information — mostly about farming and gardening — to the public. But in today's less agricultural America, the Extension network is adapting, expanding its rural focus into cities and suburbs too. The Karuk Tribe and the University of California-Berkeley developed a partnership several years ago to rebuild Traditional Ecological Knowledge. Lisa Hillman from the tribe's Píkyav Field Institute and Jennifer Sowerwine from UC-Berkeley are our guests. After weeks of fire update meetings, on Thursday night local, state and federal officials participated in a meeting focused on recovery from the Mendocino Complex. Speakers included County Administrative Officer Carol Huchingson, Cal Fire Incident Management Team 2 spokesman Jeremy Rahn, Paul Gibbs of federal Incident Management Team 1, Lake County Sheriff Brian Martin, Supervisor Jim Steele, Public Health Director Denise Pomeroy, James Scott of Lake County Environmental Health, Lake County Water Resources Director David Cowan, Rachel Elkins of the University of California Cooperative Extension, Lakeport Mayor Mireya Turner and Lake County Recovery Coordinator Nathan Spangler. ...Agricultural economist Daniel Sumner at the University of California, Davis said the purchase is only a drop in the bucket. "How much can you move the needle on price buying one-tenth-of-one percent of milk?" Sumner said. "Not very much." S.F.-based Consul General of Israel Shlomi Kofman attended the MOU signing ceremony on July 16, held during a three-day workshop titled, “The Future of Water for Irrigation in California and Israel.” The document was signed by an agricultural division of the University of California, UC Davis and the Agricultural Research Organization of Israel. … Doug Parker, director of the California Institute for Water Resources, helped put the MOU together. He said California and Israel already work together frequently on water research, but formalizing the relationship could give the two parties more leverage when applying for grants and funding. Wildfire has been an integral part of California ecosystems for centuries. Now, however, nearly a third of homes in the state are in wildland urban interface areas where houses intermingling with wildlands and fire is a natural phenomenon. Just as Californians must live with earthquake risk, they must live with wildfires. Shoes with rubber soles, western cottontail rabbits, birds, avocados, oranges, peaches, candy wrappers and fast-food cartons were among the contents that UC Cooperative Extension human-wildlife interactions advisor Niamh Quinn has found inside the stomachs of urban coyotes, reported Louis Sahagun in the Los Angeles Times. Quinn is working with Cal State Fullerton graduate student Danielle Martinez to get a clear picture of what is sustaining coyotes that died across Los Angeles and Orange counties. "This much is clear: coyotes aren't struggling in our urban environments," Quinn said. "They are almost everywhere, continually learning to adapt alongside us." Quinn also developed the Coyote Cacher web application to catalog reports of coyote sightings throughout California. Users can see when and where coyote interactions occurred. "Was howling at an ambulance going down PCH toward Hoag Hospital in Newport Beach," a report posted this month said. "Killed and ate my cat," said another from the same area. The stomach contents study indicates that cats make up only about 8 percent of the urban coyotes' diets. Dogs aren't part of the study because it would be difficult to differentiate the DNA of coyotes from other members of the canid family. UCCE human-wildlife interactions advisor Niamh Quinn is leading research into urban coyotes' diets.